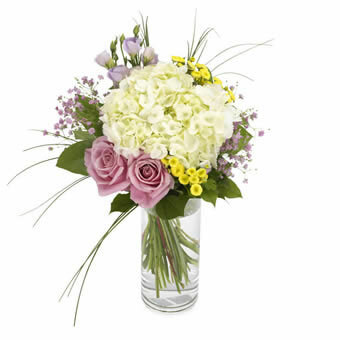 Trendy bouquet in pastels, including roses and hydrangea. This year's popular bouquet by both flowers and colour! Vase is not included.